World’s first fully solar-powered airport in India! World’s first fully solar-powered airport is in India. The Cochin International Airport is powered by a solar plant comprised of over 46,000 solar panel units. Take a look at the airport. 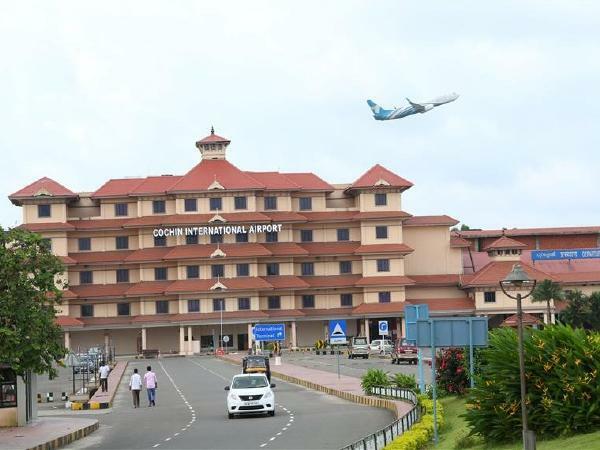 The Cochin International airport is not just India’s but the world’s first fully solar-powered airport. The airport’s power and energy needs are fulfilled by the energy produced by the airport’s solar plant and the excess powers harnessed from over 46,000 solar panels is stored in the city’s energy grid. It may be noted that the airport is sprawled across 1,300 acres approximately. The airport’s solar plant is comprised of 46,150 solar panels which are laid across 45 acres near the international cargo complex. This solar plant has been installed by the German-based company Bosch Ltd and it is capable of generating 50,000 units of electricity daily. Last year in September, the airport received UN’s highest environmental prize the ‘Champions of Earth-2018’. The airport handled over 10 million passengers in 2017-18. 1. 15 lakhs sq. ft state-of-the-art International Terminal with ample car parking facility. 2. 1 lakh sq. ft centrally air-conditioned Domestic Terminal with ample car parking facility. 3. TR/Book Stalls: Wide variety of reading materials besides travel requisites are available. 4. X-ray machines have been provided by CIAL for screening the registered baggage of passengers. The airport also offers, left luggage facility, banking and money exchange facility, WiFi internet, reserved lounge, VIP room, guestrooms, facilitation counter, computerized passenger check-in counters, child care room, restaurant, prepaid taxi car service, first aid room, world-class duty-free shops and more.